For this project, I was required to create a typographic themed magazine cover and spreads based on two articles that discussed typography. 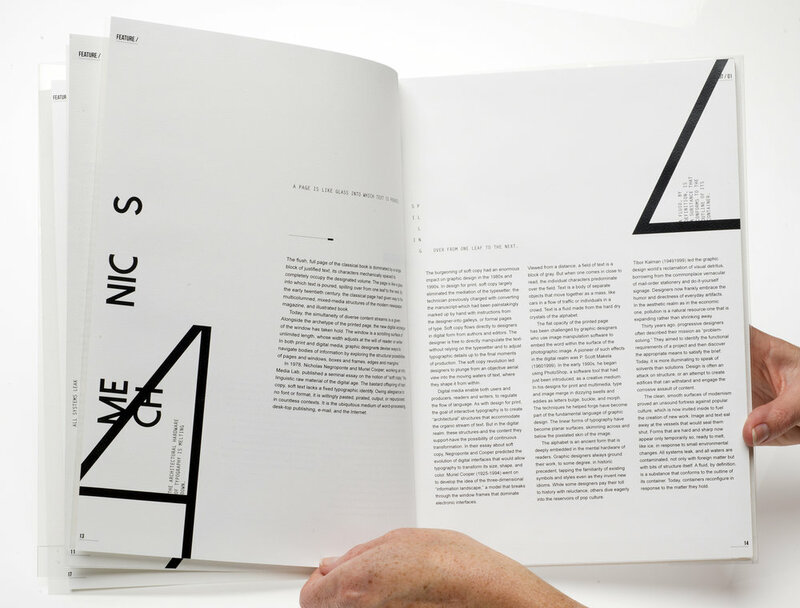 Whit Magazine name plays upon the masthead’s Dutch translation (white) and simultaneously utilises a pun in the pronunciation (wit) to allude to the literature and typography based content of the magazine. 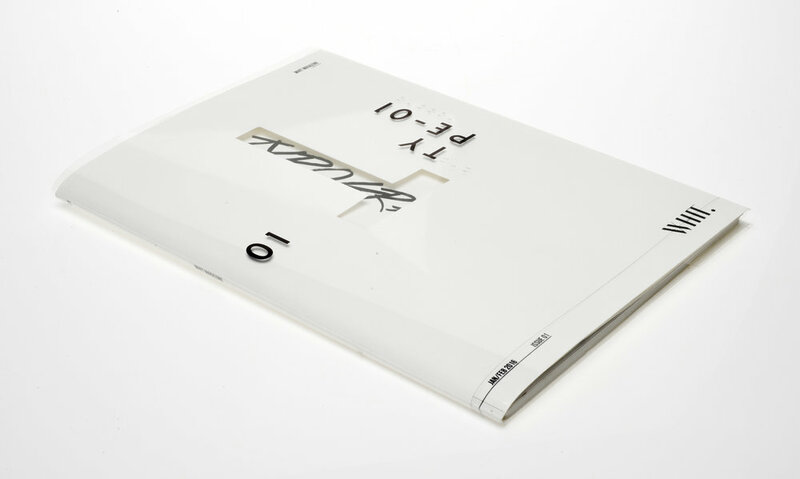 Whit Magazine aims to capture the essence of the content within and express these ideas through layout, visual metaphor and typographic detailing. 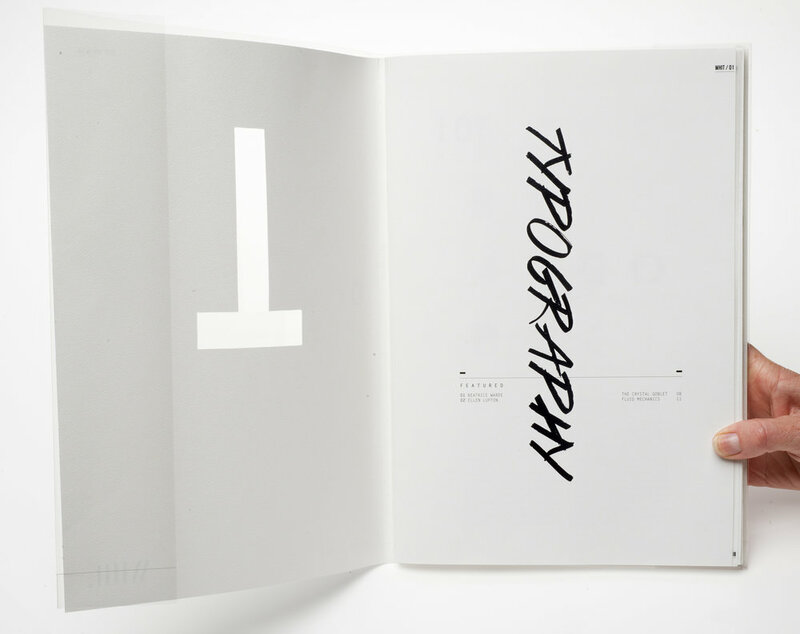 The themes of the architecture and mechanics of typography being de-constructed are expressed through the use of large featured letters, emphasizing the structure of singular typefaces. A plastic overlay is used here to represent the modern element of design and the many layers of skills required by todays graphic designer.